Having your belongings stolen is a traumatic and upsetting experience that can happen to anyone. When you’re travelling, there is a chance that you will become the victim of theft, but there are things you can do to cut down on the risk and potentially make you feel safer while you’re away. A lot of ATMs charge you for each withdrawal you make. Consequently, a lot of people will withdraw one large lump sum and just try and keep it out of sight. In actual fact, it might be worth just taking the charges on the chin and withdrawing much smaller amounts several times throughout your trip. While it will cost you a little more, you will be in a far better situation if your money is stolen. After all, would you rather lose £20 in one hit or £200? Some people choose to put their money and passport in a money belt and keep it hidden away from view. However, experienced thieves will know this and may instead demand the money, threatening you with a weapon in the process. You might do well to use the belt for your documents and bank cards, then carry around a dummy wallet or keep a small amount of cash in your pocket that you will be using. 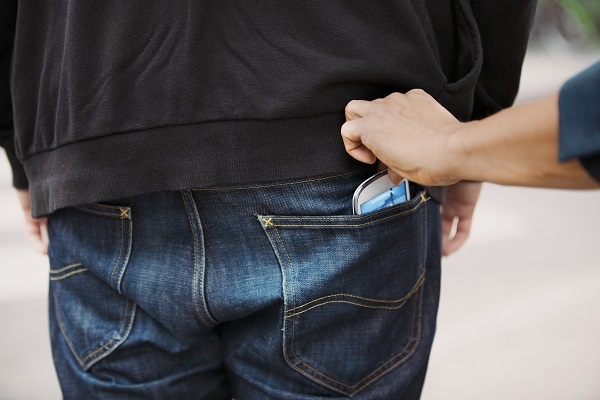 If you are threatened, you can hand over the fake wallet instead, potentially saving yourself a lot of money and hassle. You may not have your belongings in sight at all times, so make sure you keep them as secure as you possibly can. When travelling between different destinations, your bag may be in the hold of a plane or the roof of a bus, so you won’t be able to keep an eye on it. 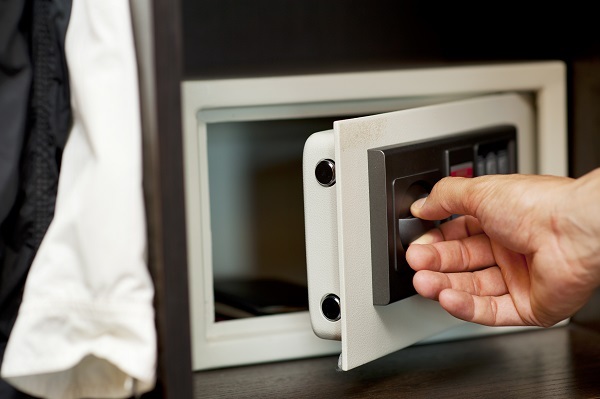 During these times, your belongings can be a very tempting target to thieves, so make sure you have taken the necessary steps to protect them. Attach padlocks to your backpack or even a plastic rain cover. It might seem silly but if it makes a thief’s job harder, there’s more chance of you noticing what they’re trying to do, thereby preventing your things from being stolen. When you’re leaving your belongings somewhere like the hostel, make sure you put them in a secure locker. Take your own locks if you aren’t comfortable with the ones available; just be sure not to lose the keys when you’re out and about. If you are feeling extra wary or uncomfortable, make sure your valuables are on your person, rather than left unattended for hours at a time. Some places are more dangerous than others, with pickpockets tending to frequent busy cities and tourist hot spots. 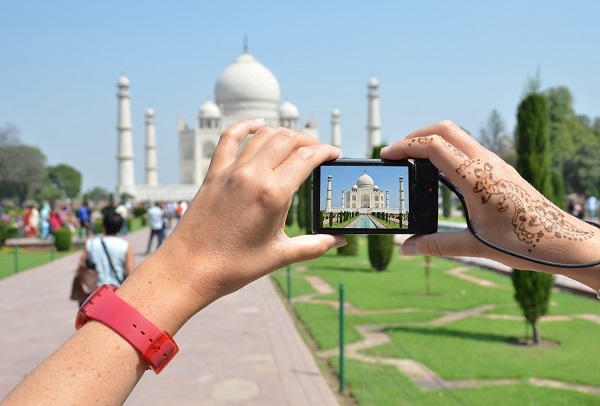 It’s easy to stop paying attention when you’re busy taking pictures or enjoying the views, but try to stay aware at all times – especially when there are lots of people around. Backpackers are an easy target because they stand out from the rest of the crowd. Try to blend in a bit and at least look like you know where you’re going. Avoid checking a map in public because this shows that you’re lost and that makes you appear vulnerable. Some thieves will take advantage of this and offer to help you, while their partner in crime steals your wallet or other valuables before you’ve even realised what’s happening. If you really want to avoid being a backpacker who’s a victim of theft, don’t flash your wealth around. You might be travelling around with a mobile phone, a tablet and some seriously expensive jewellery, but you don’t need to let the whole world know. One of the best mantras to have is ‘don’t travel with anything you can’t bear to lose’. Do you really need to wear all the bling every day? Can you make that phone call on your new iPhone somewhere more private? Check the details of your backpacker travel insurance policy as well. Some insurers won’t cover you for personal valuables or if you haven’t taken steps to keep things secure. Make sure you keep your belongings out of sight as much as possible and leave the fancy jewellery at home. When you’re taking a gap year and travelling around, it’s easy to get into holiday mode and let your guard down. While nobody is saying that you should fret your time away, still keep your wits about you and be aware of everyone and everything nearby. Your travel insurance might cover you, should anything go wrong, but in an ideal world, you don’t want to find yourself in a position where you need to make a claim in the first place.